H-Rails are snapped together with the Polarwall crosstie snapping machine. Crossties are attached onto the H-Rail arrowhead as seen above. The visual here shows our 251mm (10") tie being used. 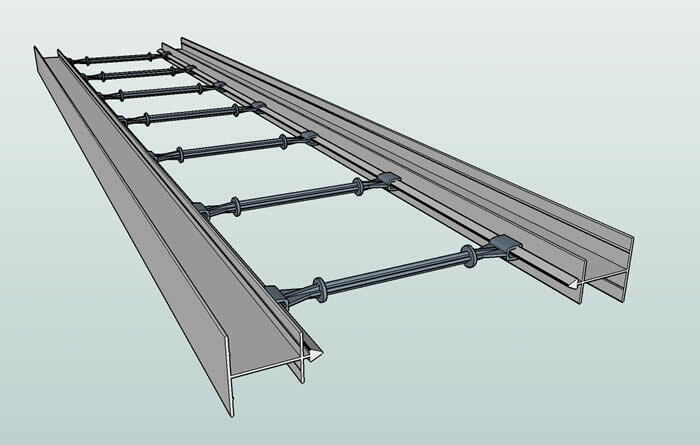 H-Rails are used in intermediary courses throughout the wall.